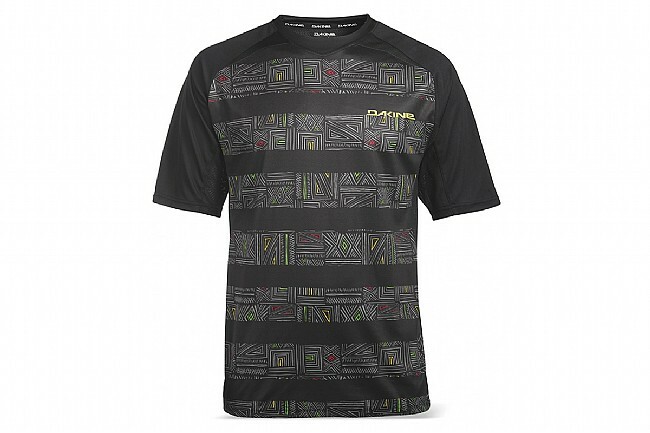 The Dakine Men's Charger Short Sleeve Jersey blends breathability and durability to fit your mountain biking needs. The quick-dry polyester construction features antimicrobial technology for a stay-fresh feeling, and mesh back and underarms increase ventilation when things heat up. It's cut with an extended back hem for maximum coverage on the bike, and an interior sunglass wipe is a convenient way to clean off lenses before the descent. It's a nice looking, nice fitting and comfortable shirt. Not too bad to be seen in after the ride. Definitely a slimmer cut to it. Unfortunately, with all Dakine things, it's shiny and looks good. It doesn't disperse or breathe sweat well enough to actually work. Ends up feeling like you're wearing a plastic bag. I've ridden in all weather and it's just not a good fabric for cycling.